Roof tiles are popular choices for roof covering in Malaysia. Roof tiles can withstand harsh weather, and they are able to last for 50 to 100 years depending on the type of roof tiles used. 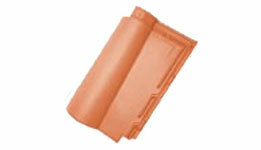 The 2 major types of roof tiles that Roofseal Malaysia has are clay tiles and concrete tiles. Clay tiles are lighter and durable, but concrete tiles come in more design varieties and cost cheaper. Cooling: Clay roof tiles are a natural thermal mass insulator, keeping the heat outside. 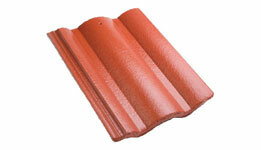 Clay roof tiles harness natural energy and incorporating thermal mass while providing natural sound insulation. Strong Security & Weather Resistance: Clay roof tiles feature a unique double interlocking system to both the head and side of each tile, providing greater protection from the harshest wind and rain. Low Maintenance: Concrete roof tiles are long lasting. If they’re set up and preserved properly they can last for over 50 years. Fire Resistant: Concrete roof tiles are fire resistant. This will reduce the damage that a fire could cause to your home. Versatile: Concrete roof tiles are versatile. They are available in a range of shapes and colours. Many property owners utilise concrete tiles to create appealing multi-coloured patterns on their roofs.